He does have an impressive starting record but I do not see him as a guard, he is not nasty enough physically and is just a big body guy with decent athletic ability who can move his feet. He will stick and tackle I feel, and not so sure we could get him cheap either. This is going to be an unpopular opinion around here but Im no stranger to that. I was ahead of the Brian Robison promotion to starting End(thought he was a better player than the over hyped Ray Edwards) but I say we promote Danny Isidora. However with that said I wouldn't go into the season just giving him the job, I'd also try to bring back Nick Easton on a cheap 1 yr prove it deal(as long as no one else was offering him big money) & draft a guy somewhere in rounds 3-5 to give whoever some competition then let them all battle it out in training camp & preseason with the winner getting the job. Could drafting Cody Ford moving him to Center & moving Elflein to LG be a realistic option? Who says Cody Ford can play center? I think having Ford play anything outside of OT is a wast, why move him to guard which many think he is when I feel he could easily play RT. I do agree in moving Elflein to guard possibly but I am sure they have tried it at practice and it did not work out who knows. He played it in college and honestly at center he looked bad at times this year. I still say drawing a center 3rd or 4th round is a big possibility but only if Elflein can play guard. Centers like Ross Pierschbacher, Connor McGovern or best bet Erik McCoy I feel could be interesting. Isidora would love to see he is the option at guard but if he was he would have played this year and did well, he did not. Same with Aviante Collins who I thought had promise potentially but neither one turned out this year, will see what they are like next year but not sure they are long term options just like Tom Compton is not and Mike Remmers is not. Nick Easton maybe but will see how he is off that injury. Still thought he should have picked up Xavier Su'a-Filo when he was cut in the off season, he was picked up by Dallas and started 8 games this year for them as a backup. The Vikings OL has been crap for awhile, looking back they had some good groups at times. McKinnie was not great but at least was something out there and Loadholt when healthy was a beast, and freaking Hutchinson was great having him even if he was older and on the decline. 1999 was great with hall of famer in McDaniel and Stringer was a monster, Steussie I hated for the holding penalties but would be a great tackle on teams they have now a days. Look at what they had this past season, no big surprise the team was not that great, sure put up numbers at times but clearly could not run the ball or protect the QB worth a damn. As for Isidora you could be right, I still want to see him atleast get a chance but like I said I don't want to go into the season with that as our only option. 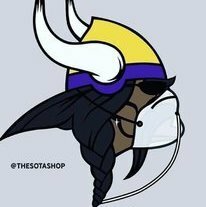 I think Remmers needs to be cut, he's just not worth the money for the production he gives & if he does want to be back then a restucture is definitely needed although I want him & Compton both gone. Aviante Collins was on IR this year with an elbow injury. 2007 is so ugly & man do I miss those 98-99 OLines. I was mad when they let Jeff Christy go but man did Matt Birk step up. I wish we could just have either a talented enough scout to be able to find those mid-late round gems(Birk, Christy, Sullivan.. etc) or a position coach that could actually develop the talent we select. Would be a good option if this were the right guard thread. Unless someone got hurt for a length of time and Isidora outplayed one of them, like O’Neill did with Hill, replacements along the o-line just don’t happen all that often. Teams want that continuity. And since both Remmers and Compton were sprinkling good games here and there, it’s not surprising that neither of them were replaced. Plus, practices during the season just aren’t set up for a guy like Isidora outperform and take the job like you can see in training camp. My vote is to re-sign Easton -- pending his full recovery from injury. Promoting Isadora may be an option, but he's didn't grab the position when he had the chance, so why believe he could get it now? I think the team's biggest priority is to draft a LG, and a RG. So, at LG they really have to take one of the consensus top 3 LGs on the board. I'd like to see them get one of the 330 lbers so they can beef up when needed. I really think going FA for another O-lineman would be a waste. Remember, this team had several guys get hurt and go to IR, and as they come back, there may be plenty of talent to work with. Upgrades are always nice, but when looking at the $$$, I suspect there's a chunk going to a certain OLB. At some point the Vikings have to develop players on the line. Rodger Saffold has spent his entire nine-year career with the Rams organization. He would like to see that relationship extend to a full decade. “I don’t think that it’s any surprise to people to know that I want to be back,” Saffold said Tuesday, via Lindsey Thiry of ESPN.com.